When you think about the face of your company, what do you think of? A mascot? Your CEO? Whatever comes to mind, chances are it wasn’t the customer support agents powering the service department. That’s your first mistake. 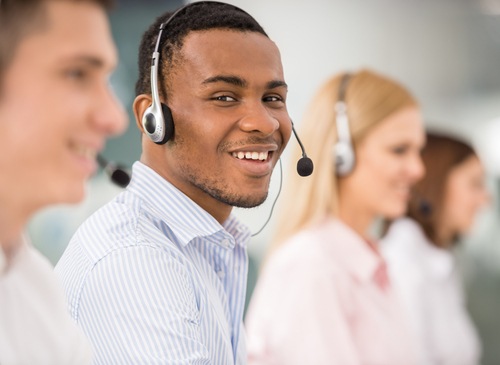 Customer service agents are the face of your company — the first line of defense between providing a good experience for the customer, or a poor experience that could make the customer take their business elsewhere. Instead of treating agents like the customer experience ambassadors that they truly are, too often companies hamper agent performance with strict scripts and a lack of tools that prevent them from providing a personalized, fast, conversational experience with each and every customer, regardless of channel. The problem, in part, is that business leaders often think of the customer service department as a cost center — a necessary (but costly) aspect of running a business. What these leaders don’t realize is that service could and should be a powerful lead generation engine. Agents can do so much more for your business than just answer a customer’s question. They can create an amazing experience for the customer that generates positive word-of-mouth — the best marketing a business can have. Additionally, these agents can tell customers about new products and identify cross-sell and upsell opportunities, based on rich customer insights. But in order to do so, agents need the tools to understand the products and the customer intimately, and be empowered to easily access the right information. That’s one piece of empowerment. The other piece is that an agent, just like anyone else looking to succeed in a job, needs to feel happy, celebrated and appreciated. They must be invested in the success of the company they work for and the success of the customers. When agents feel like there is a place for them in powering a company’s future success, they will tackle every customer interaction with that responsibility top-of-mind. It’s quite simple: Empowered agents = happy agents = happy customers. When the agent feels appreciated and empowered, then everybody wins — that’s why Salesforce is going on a Service Trailblazer Tour. We’re visiting agents at call centers across the county to make sure agents shine and feel appreciated. We’re bringing a party to service agents at companies like ZipRecuiter and Intuit! We’re also coming equipped with demos and interactive experiences to show agents how they could be empowered to deliver a more connected, personalized service experience with Salesforce for Service tools. Want to get in on the action and maybe spark some inspiration of how to appreciate and empower your agents? Follow @ServiceCloud on Twitter and check out our Facebook page, where we will be posting live videos and more on-the-ground action with #ServiceTrailblazers.